How can I visit Pepperwood with my class? There are two ways to visit with your class. If you're interested in a one day field trip, click the button below to learn about our Learning Landscapes program, which offers expert-led hikes on our 3,200 acre preserve that can be catered for groups of all ages. Search for reptiles, try your hand at animal tracking, or take an adventurous night hike—choose the expedition that your class will enjoy most! If you're interested in participating in our year-long SCENIQ program for elementary school classrooms, read on. Students become field researchers as they ask their own questions about the natural environment and explore to find the answers! Our SCENIQ program includes a fall and spring visit to Pepperwood, a visit to your classroom by a Pepperwood educator, and teacher support materials. Our inquiry based curricula are grade specific and focused on observation and hiking skills and reinforcing state science educational standards. Students’ field experiences are augmented with hands-on activities and science explorations in our classroom complex at the Dwight Center for Conservation Science. Transportation scholarships are available for Title One schools. This program is available to first through sixth grade classes in Sonoma and Napa county schools. Click the link below to access resources for current SCENIQ teachers. What do kids discover at Pepperwood? 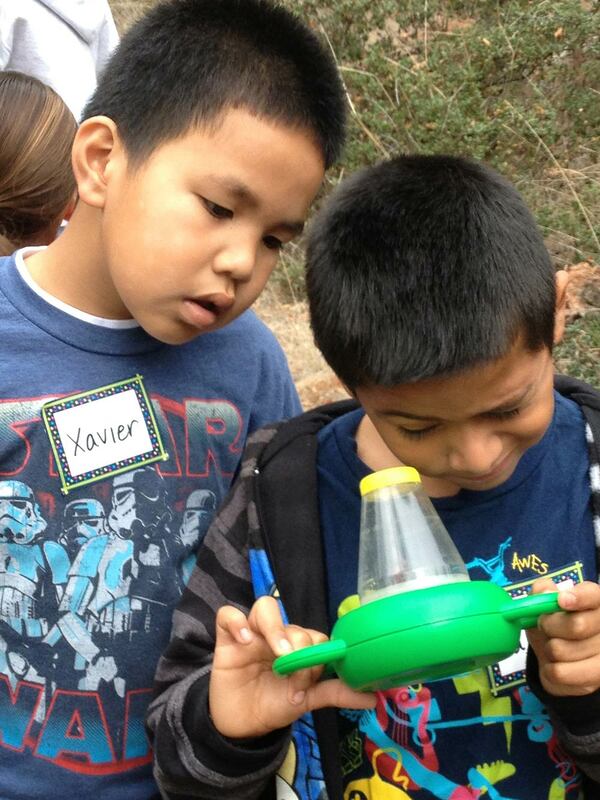 Students explore a variety of habitats including grassland, chaparral, mixed-evergreen forest, oak woodland, vernal pools and streams. Key concepts include biodiversity, life cycles and food webs. Our preserve is rich with flora and fauna representative of our locale within Northern California’s global biodiversity hotspot. Students learn to identify common birds, reptiles, amphibians, plants, trees, wildflowers and mammal tracks observed during hikes. Lesson plans excite students about the natural world and introduce them to basic ecological principles keyed to their grade level! How do I apply for SCENIQ? Entry into the SCENIQ program is competitive and Pepperwood welcomes applications from teachers in Sonoma and Napa counties. We prioritize schools within 20 miles of Pepperwood. We also prioritize working with teachers who focus on ways to integrate the SCENIQ experience into their classroom teaching. Teachers must apply as a whole grade level cohort. Applications for SCENIQ are due in July for the upcoming academic year. For questions about applying to the program, please contact Margaret Boeger. Pepperwood serves as the fiscal sponsor for SEEC, a regional consortium of environmental education professionals from organizations, agencies, networks, and school districts. The SEEC mission is to create vibrant, innovative collaborations that increase environmental literacy in Sonoma County citizens. As a collaborative, SEEC undertakes its mission by identifying and addressing regional needs for environmental education beyond the scope of individual organizations. Click here to visit the SEEC website.